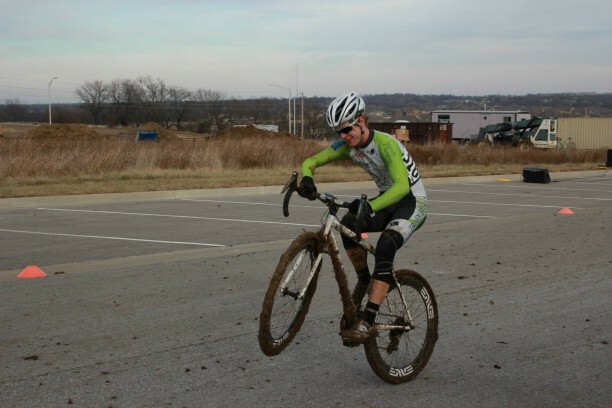 The inaugural Longview Cyclocross race was held at New Longview in Lee’s Summit,Missouri. 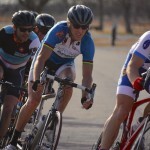 With warmer temperatures moving into the area many riders looked forward to the mid-December cyclocross race. Considering the warmer weather, field sizes were a little smaller than expected. The early morning met riders with frigid temps and a course that was frozen solid. The relative flat course, sans obstacles, allowed for fast lap times early in the morning. However, the sun and warmer temps thawed the course quickly and what was a solid course, quickly turned into a quagmire. Each subsequent lap brought riders and bikes covered in increasing amounts of mud. After the first few masters races, the soft mud and bits of hay from the freshly mowed field combined to create a sticky mess for riders that could, once accumulated, bring the bikes to a complete standstill. Many riders were forced to dismount their bikes numerous times to clear their brakes, components, and tires of mud and debris so they could continue. 5-6 minute lap times had turned into 10-20 minute lap times by the time the 1/2/3 field took to the course. The muddy conditions kept the pit crew busy throughout the day. They did a great job of assisting riders as they came through the pit to change bikes or clear enough mud from the wheels and components so they could continue on. Many riders were forced to walk their bikes to the pit as their equipment had become so caked with mud and debris the wheels were complete jammed and unable to rotate. The course start/finish ran through a parking lot and riders took a sharp left turn after about 100 meters into the field to navigate the rest of the course. A fast start and good position going into the field was essential as the slick conditions made gaining ground even tougher. Those riders who had an extra pit bike or were able to ride without having to pull debris out from their brakes were able to gain much more ground than those forced to stop and pull the debris out of various components on their bikes. 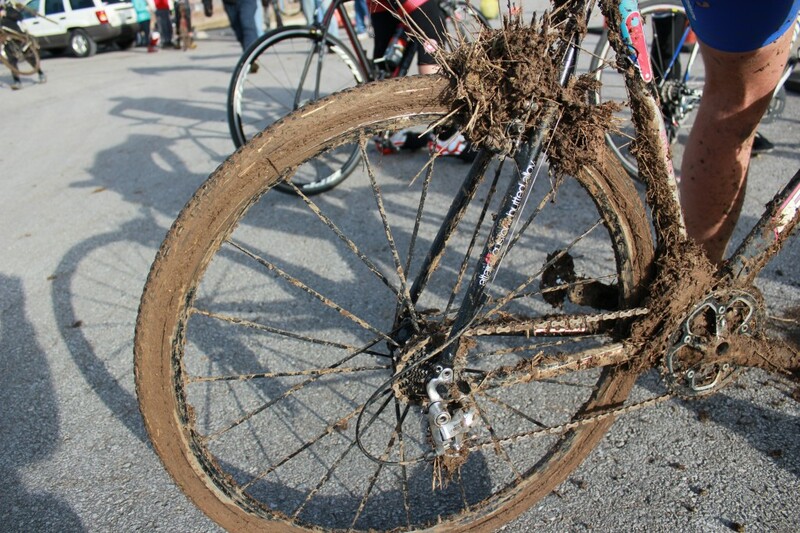 Many riders were spending more time off the bikes, either walking or trying to clear mud from their wheels, than on them. A look out across the course showed most riders were struggling just to keep the bikes in motion. There were so many riders spending upwards of 5-10 minutes each lap trying to clean the crud out of their critical components that it was impossible to tell who was lapped once, twice, even three times. Some riders had two or three pit bikes and went through them all trying to keep their ride as clear of debris as possible. Those who chose to switch bikes on each lap fared the best as they could quickly swap their dirty bike for a clean one, reducing the amount of muck they had to deal with gumming up the works each time around the course. The 1/2 riders went fast from the gun with the category 3 riders hitting the course a few seconds later. It was clear that the riders in both groups were hammering from the start to make it to the first turn off of the pavement ahead of the other riders. With the sticky conditions, there weren’t a lot of chances to make up ground once on course. Ben Stover took the pole position in the 1/2 race, and spent the rest of the race battling for the win against JP Brocket. Both riders took advantage of having multiple bikes in the pit and a hardworking pit crew to get each bike ready for the next lap. JP eventually took the win, running across the finish line with his in hand. 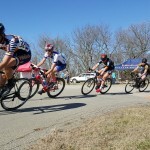 In the category 3 race, Galen Johnson and Justin Leopold took the first two positions onto the course but the muck quickly shattered the field and halfway through the first lap and more riders were off their bikes than on them. 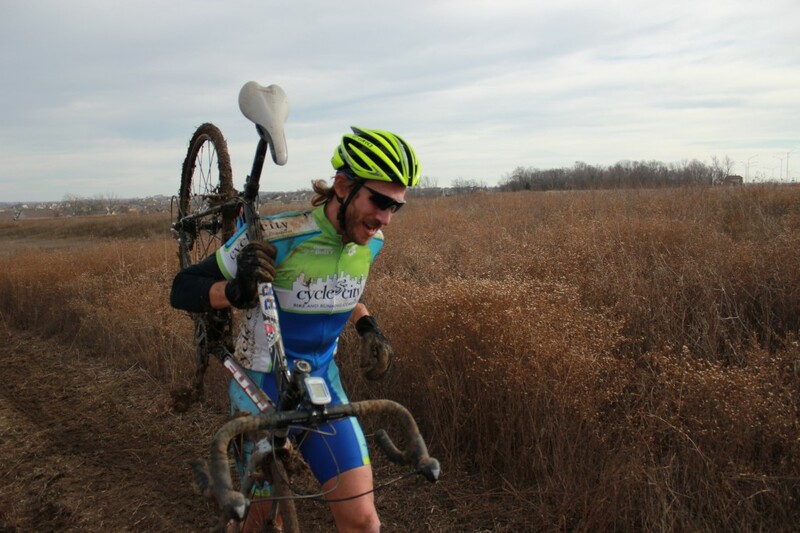 Riders took to grabbing sticks off the course and using them to knock out chunks of mud as they rode. Scott Kelly took the eventual win with Jeff Wass coming in second. Bentley Brooks rounded out the podium with third. Many riders were forced off their bikes. 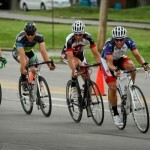 It was a great new course in an area of the KC Metro that had not yet seen a cross race. We look forward to seeing more races promoted in the area in the future. Check out our event calendar for more cyclocross racing across the region.